Continuity mistake: After the book knocks over the AA meeting's coffee machine, when the group of people run out of the church, the ground in front of its doors is flat and leads straight to the walkway. Additionally, there is a second large area of grass between the sidewalk and the street, and the large cross at the front is gone. 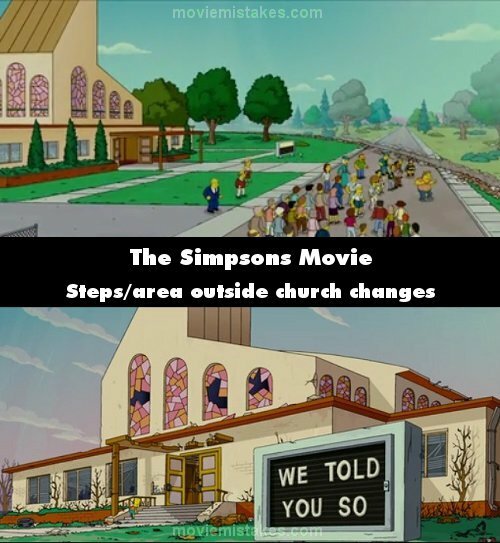 However, in previous and following shots there are stairs at the front of the church, and the area of grass only between the church and sidewalk/street.